Many collectors were pretty excited when they found out Upper Deck’s Goodwin Champions brand would be back this summer. We showed off one of the cards of golfer Bubba Watson after he won the first tournament of the year recently. The last edition of Goodwin Champions featured a variety of very unique inserts, with one of the most interesting being the Entomology (a.k.a. “bug”) cards seen here. Another big favorite with fans however was a unique take on horse racing trading cards. 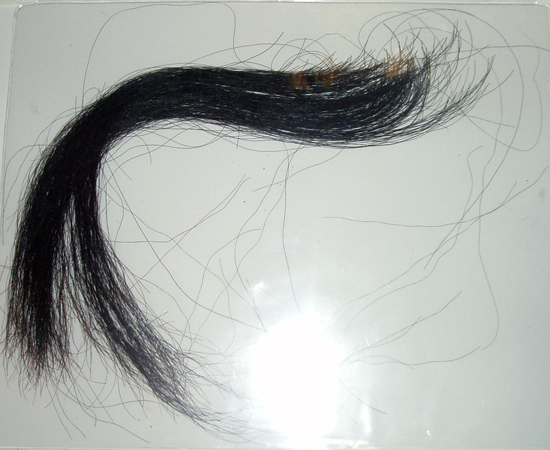 We procured actual hair from the manes and tails of champion thoroughbreds and encapsulated the strands onto trading cards. Well we have another edition of those popular cards planned for the 2011 release of Goodwin Champions and just received our first hair sample in from WinStar Farm in Kentucky. 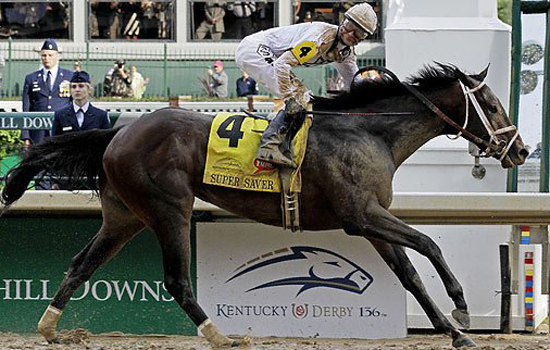 The hair comes from Super Saver, the 2010 Kentucky Derby winner. Which other horses will join Super Saver in the Thoroughbred Hair Cuts set? More details to come. In the meantime, to check out the last Thoroughbred Hair Cuts set, click here. I have both Curlin and Super Saver’s cards and I was hoping you would have more Thoroughbred Haircuts in next year’s box of Goodwin Champions.